HPLC is the most widely used method for the purification and seperation of the components in a sample. Jordi is a recognized expert in HPLC analysis producing its own complete line of HPLC products. Detection methods available at Jordi include ultaviolet (UV), diode array (DAD), evaporative light scattering (ELSD), Quadropole Time of Flight (QTOF) Mass Spectometry, and fluoresence. Additional detectors may be available upon request. HPLC provides a general measure of product purity through identification of the number and relative signal strength for the compounds detected. Contact us to request a laboratory quote request. This technique can be used to quantify the presence of organic additives in polymer samples. The polymer matrix is first extracted with a suitable organic solvent to release the additives. The extract is then injected into the HPLC system and components are separated using reverse phase, size exclusion, or normal phase chromatography. Components are then analyzed using evaporative light scattering, multi-wavelength UV, Mass Spectrometer or fluorescence detection. Comparison with standards of known concentration allows for quantitation of the desired sample components. HPLC is an excellent screening tool for determination of the percent purity of a material. 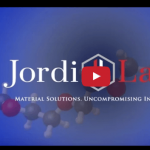 Jordi labs has extensive experience in developing methods to demonstrate sample purity or for fraction collection enabling the isolatation and collection of sample components. HPLC is a technique for the separation and identification of a wide range of analytes. Detection methods available include ultaviolet (UV), diode array (DAD), evaporative light scattering (ELSD), and fluoresence. Additional detectors may be available upon request. 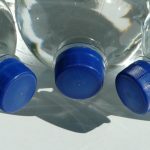 HPLC provides a general measure of product purity through identification of the number and relative signal strength for the compounds detected. This technique can be used to separate, identify and or quantitate components in mixtures of soluble organic components based on their hydrophobicity. Samples are dissolved in a suitable solvent and separated based on their interaction with the column’s stationary phase. Available detection methods include fluorescence, evaporative light scattering (ELSD), ultraviolet (UV), diode array (DAD), mass (MS) and refractive index. Jordi Labs produces a complete line of reverse phase columns providing us with unique expertise and access to a wide selection of column stationary phases. This technique can be used to separate mixtures of soluble organic components based on their functional group class. Samples are dissolved in a suitable solvent and separated based on their interaction with the column stationary phase. Available detection methods include fluorescence, evaporative light scattering (ELSD), ultraviolet (UV), diode array (DAD), mass (MS), and refractive index. Jordi has both hydroxylated and amino column chemistries available for NP method development. This technique can be used to separate mixtures of soluble components based on their charge. Samples are dissolved in a suitable solvent and separated based on their interaction with the column’s stationary phase. A conductivity detector is used for this application. Jordi Labs produces its own line of ion exchange columns providing us with unique expertise and access to a wide selection of column stationary phases.